Cairo International Book Fair hosts a seminar honouring Hanaa Abdel-Fattah as a translator, along with his many works in theatre and cultural scenes in Poland and Egypt. 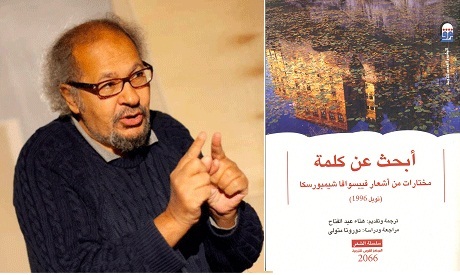 A seminar dedicated to the memory of well-known Egyptian Hanaa Abdel-Fattah was held on 5 February within the cultural events organised during the Cairo International Book Fair (23 January – 9 February). The fair presented a collection of poetry by Polish Nobel Prize winner in literature, Wislawa Szymborska, translated from Polish to Arabic by Mohamed Hanaa Abdel-Fattah Metwaly (known as Hanaa Abdel-Fattah). Abdel-Fattah, theatre director, critic, and actor was also a translator of many works by Polish writers to Arabic. He translated a countless number of theatre plays, poetry and prose, works by Czesław Miłosz, Wisława Szymborska, Tadeusz Różewicz, Sławomir Mrożek, Stanisław Lem, Henryk Sienkiewicz, Władysław Reymont, and Bolesław Prus. Being an ardent promoter of Polish culture in Egypt, between 1995 and 1999 Abdel-Fattah ran a radio show presenting Polish poets and their poetry. He also directed a few plays by Polish playwrights with Egyptian actors. In return, he also translated a number of works by Egyptian playwrights to Polish and presented them on Polish stages. The seminar went beyond Abdel-Fattah’s works as a translator. Since he passed away recently, on 19 October 2012, the speakers presented Abdel-Fattah in a wider context, touching on his life, work in theatre, and all cultural activities he held in Poland, Egypt and other countries. The seminar opened with a long talk by Ahmed Sakhsoukh, professor of theatrical arts, who presented in details the artistic path of Abdel-Fattah, from his childhood in the 1950s, when Abdel-Fattah was acting in the Egyptian radio and film, on to his studies at the Academy of Theatrical Arts in Cairo and in the1960s when he directed a groundbreaking work Coton King by Yusef Idris, with actors and amateurs, the inhabitants of the village Dinshaway in the Delta governorate of Menoufiya. Among other speakers shedding light on a variety of artistic and personal elements of Abdel-Fattah was Ahmed Abdel Halim, professor of theatrical arts and theatre director, who brought many personal memories to the audience. Intessar Abdel-Fattah, founder and director International Samaa’ Festival and brother of Hanaa Abdel-Fattah also shared a personal speech. Abdel-Fattah as a translator was recognized by the representatives from the National Centre for Translation, while a number of students went on recalling their experiences with Hanaa Abdel-Fattah during their studies. The seminar was also attended by H.E. Piotr Puchta, Ambassador of Poland and Stanislaw Gulinski, cultural attaché of the Embassy of Poland. In his speech, Gulinski underscored the contribution that Abdel-Fattah gave to the Polish cultural scene. Abdel-Fattah’s promotion of cross cultural dialogue between Poland and Egypt was awarded by the Polish Ministry of Foreign Affairs in 2010. Most recently, in June 2012, he was honoured the Gloria Artis by the Polish Ministry of Culture, given to persons and organisations who make exceptional contributions to Polish culture and heritage. Abdel-Fattah was among very few international artists to have received the medal.